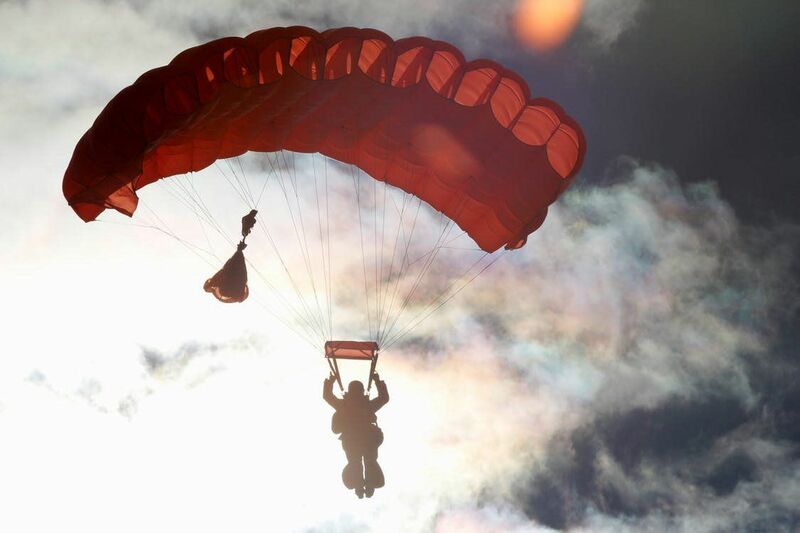 We offer a tandem jump service where the student is hooked up to the Tandem Instructor by means of a harness that is connected at four points. 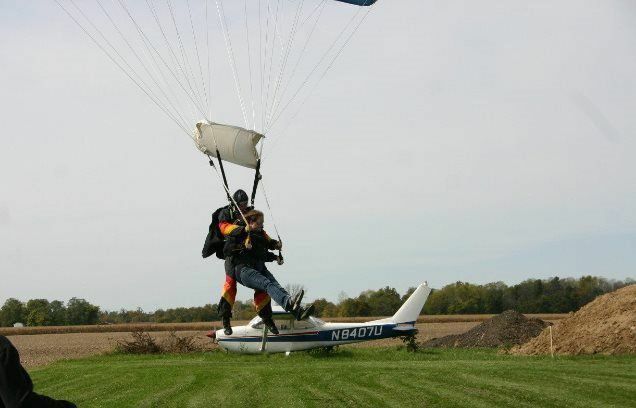 The Tandem instructor has control, but the student can also steer and help land the parachute. A tandem jump is where the student is hooked up to the Tandem Instructor by means of a harness that is connected at four points. The Tandem instructor has control, but the student can also steer and help land the parachute. The Tandem skydive can either be part of a student progression or just a recreational jump for those people who just want to make a skydive but not go through a student program. We also offer Instructor Aided Deployment (IAD) and Demonstration Jumps. The tandem skydiving is the quickest and safest method to learn to skydive or to make your first jump. Thousands of people every year enjoy the thrill of tandem skydiving. This form of skydiving has been around since the 80′s. Because most people only jump once to check it off of the bucket list, tandem skydiving is the most popular way to experience the world of skydiving. It involves a student who is connected to a specially certified tandem instructor. The drop zone is open only when weather permits. We will never put you or our staff in any immediate danger. We are generally open during the months of April through October as long as weather permits.